In today’s society, our food and supplies come from all over the world. Because the stores always seem full, it is hard to imagine a real food shortage happening. If our intricate food system, so reliant on computers, should be disrupted, a food shortage is a real scenario we all should be planning for. Today, people are increasing their own personal preparedness for climatic, economic and everyday life events. With the holiday just around the corner, many are making it a Christmas priority to be better prepared, in addition to gifting items to the ones they love. Here is a great backup stove with fuel pack that can be used both indoors and outdoors, as a way to cook food, should there be a power outage when electric stoves won’t work. Here is a nice single bucket gift of freeze dried/dehydrated food that will last on the shelf for 25 years. Legacy Premium is known for the largest serving size, GMO free, and gluten free selections! This means more for your money, and high quality food. http://www.buyemergencyfoods.com/32-serving-family-72-hour-emergency-food-kit.html Larger sizes also available! This is a great kit to have in emergencies, either at home or on the go. You can keep as is or incorporate more items to customize just for you and yours. For the person that gluten sensitive, check out our gluten free selections! Or, how about this package that comes with one of everything, making for a great variety backup to have on the shelf. 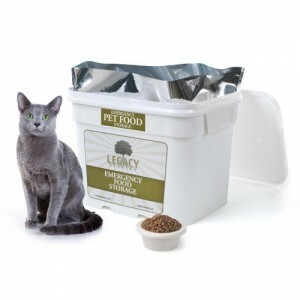 Lets not forget about a backup food supply for our furry friends! Consider buying some preparedness items for family, friends, and even those who can’t afford to buy it themselves. Providing items for some backups, should any emergency situation occur, provides both you and them peace of mind! « Alcohol Storage: Why Not Stockpile a Few Luxuries?